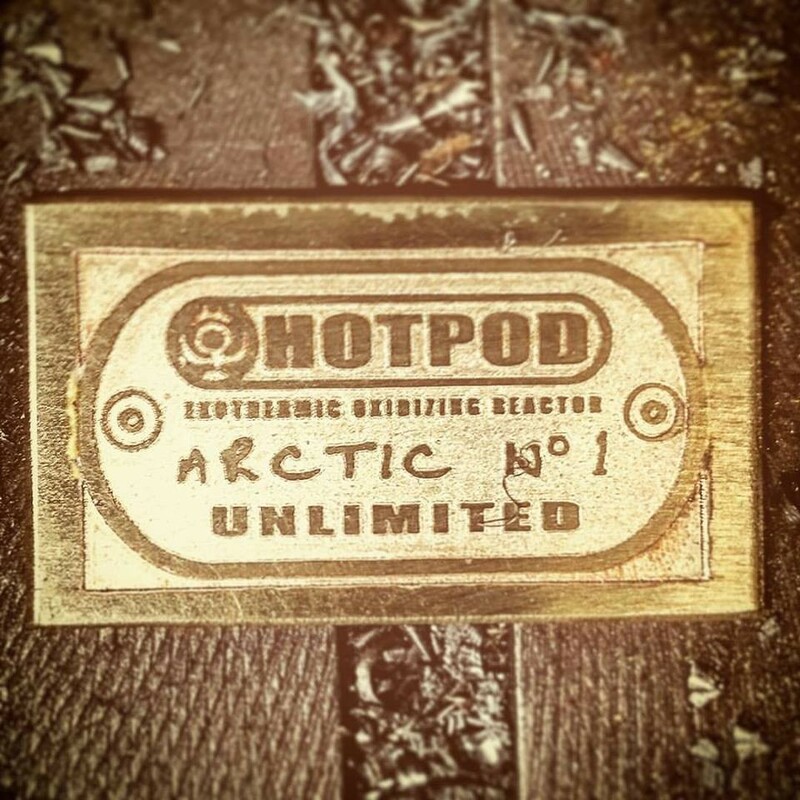 Last year I shipped my first Hotpod to the Arctic circle which I was very happy about. 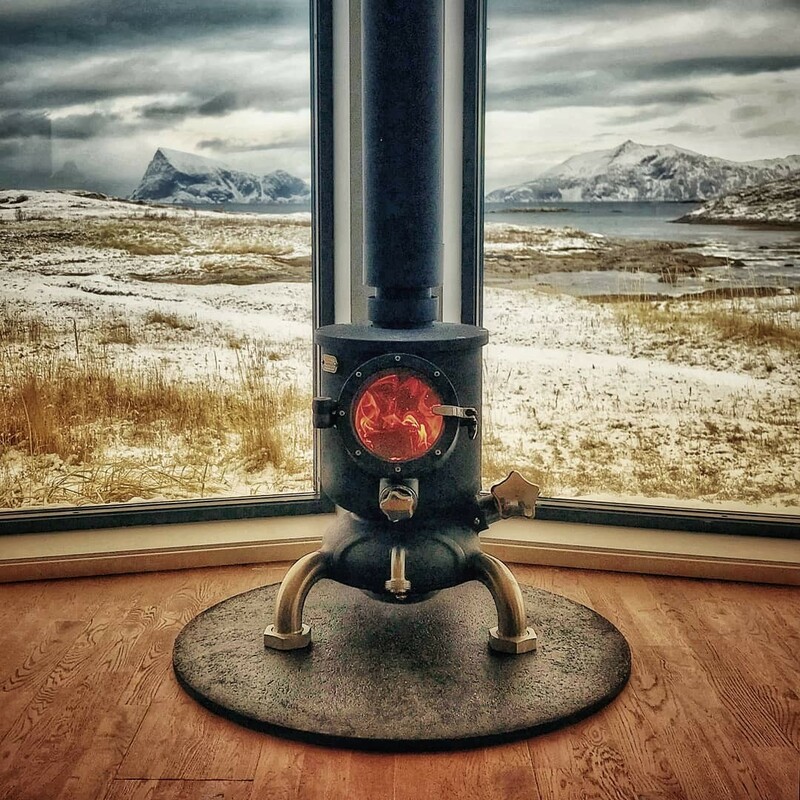 Firstly because it’s nice to be noticed from that far away, secondly, the Hotpod to be the heater of choice in an Arctic home is quite a stoke and thirdly because I have an Arctic obsession since snowboarding in the far North of Sweden 10 years ago. It is really beautiful wilderness which is still tugging at my soul. 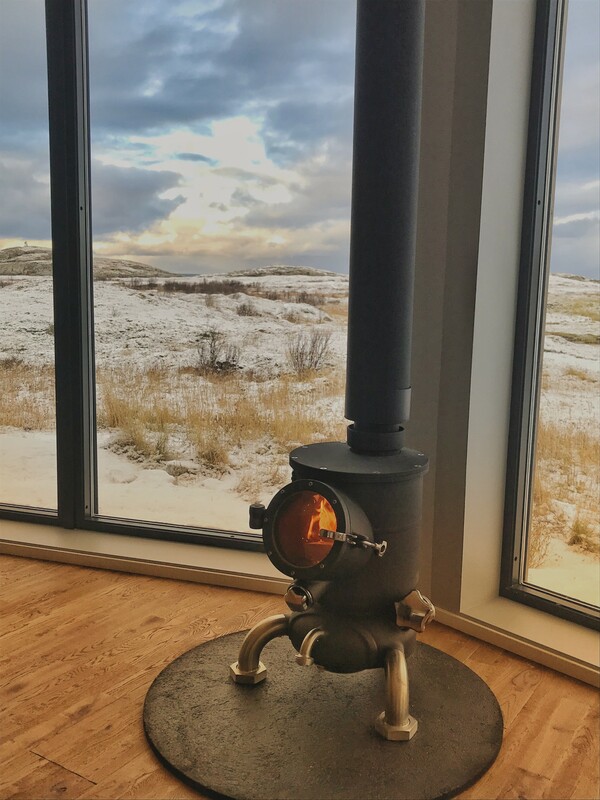 This week I was sent the first photos of the Hotpod in its place in the newly completed house in the far North of Norway. I shall say no more except a big thank you to the owners for choosing a Hotpod and, obviously, for the photos. 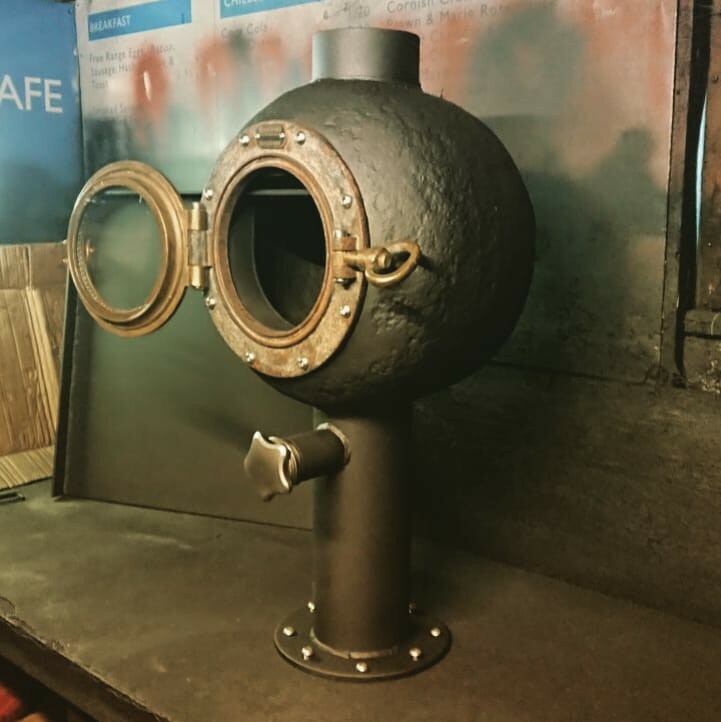 Last April, I got a call from an old friend asking if I could help a young couple make a stove for their Dutch Barge. 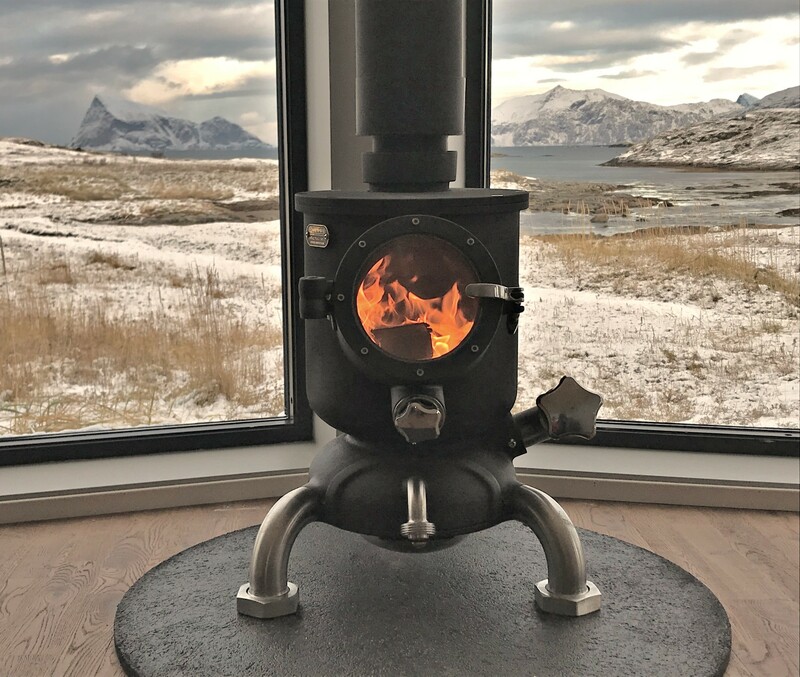 They were being filmed for a Channel 4 programme called ‘My Floating Home’ which was following their conversion of a Dutch Barge into their London Home. Charles and Ani are a very hands on couple who really wanted to do as much as possible themselves and had some radical ideas. They wanted to make their own stove and were pointed in my direction for advice and workshop facilities. And who wouldn’t want an excuse to come and stay in a VW camper van in St Ives for a weekend? They stayed on the garden in a spare camper and came with Matt the camera man who was also van camping at the other end of town. 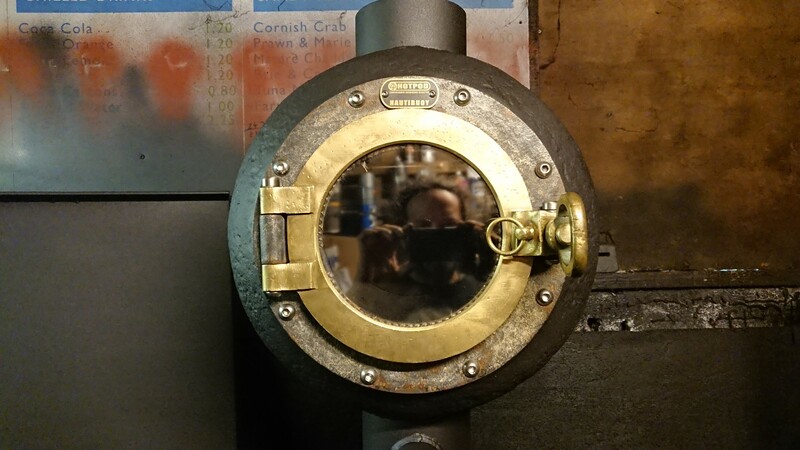 In one weekend we designed and built the stove which we Christened the NautiBuoy as it was made from a trawl net roller which Dan Snr had found washed up on a beach about 30 years ago ( so not strictly a buoy but we thought the name was good) and a splendid Brass porthole which Charles and Ani had found in a marine salvage yard in Exeter. 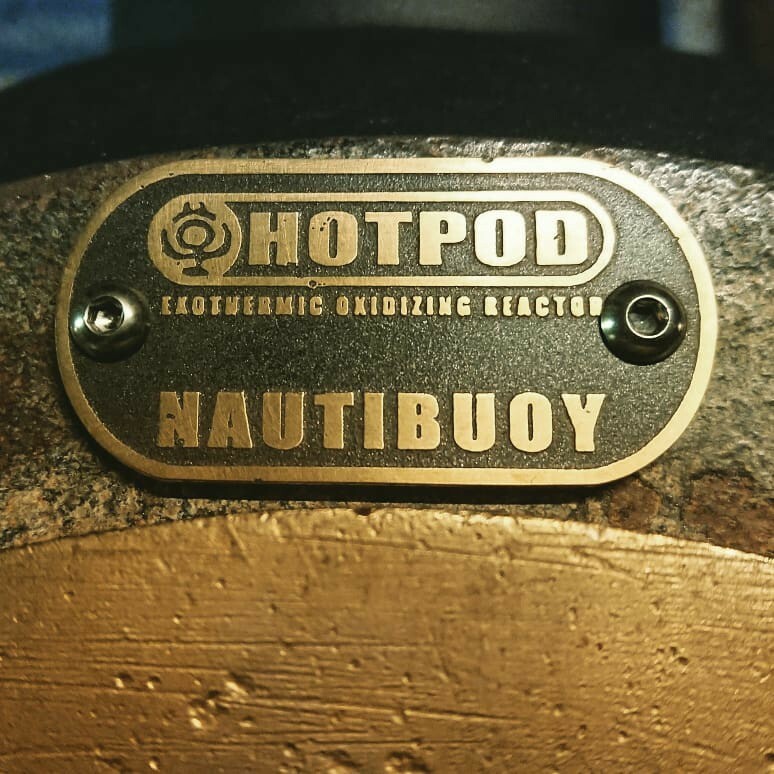 The pedestal that the Pod stands on was the tube we cut out of the center to start with. These trawl net rollers are made from 10mm thick steel so they are absolutely perfect for a stove which will outlive all of us. 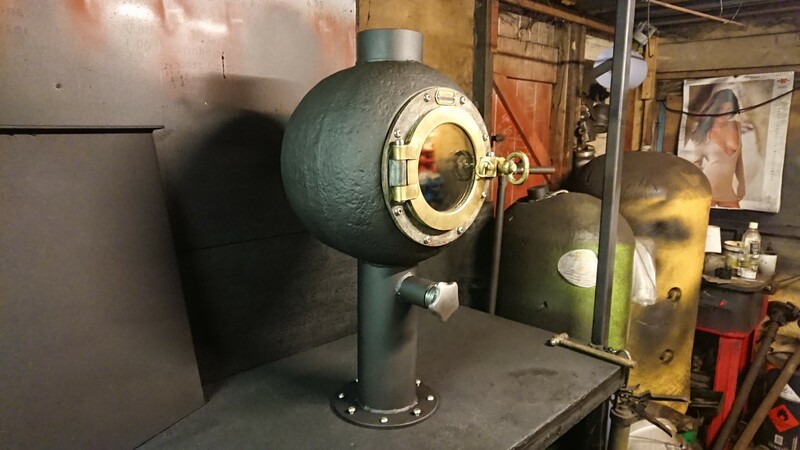 We replaced the glass of the porthole with Heat resistant ceramic glass and made an air wash air control in a Hotpod style. I wasn’t sure how it would work so when it worked beautifully on the test firing on camera we were all understandable stoked. 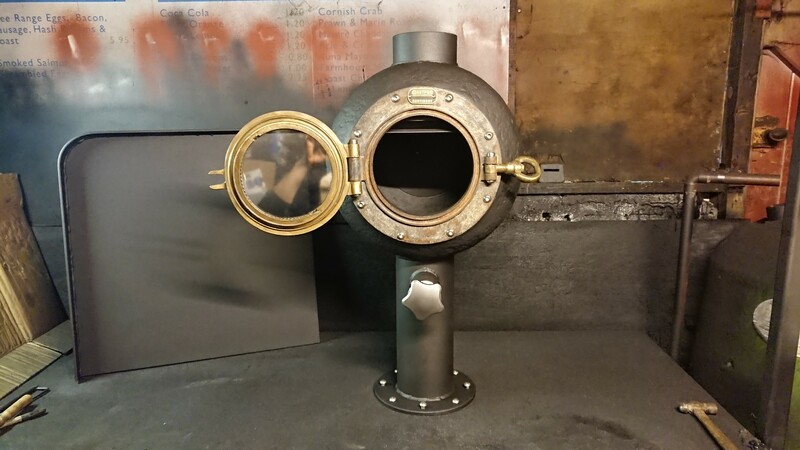 Its a very lovely thing and is a perfect fit on the barge especially with the Cor-ten steel surround Charles and Ani made for it.